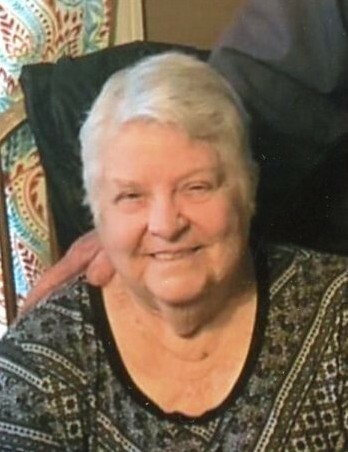 Walkertown – Mrs. Ruth Evelyn Hitson Lane, 84, was called home on Sunday, February 10, 2019 peacefully at her residence. She was born on September 26, 1934 in Blount County, Tennessee to George Calvin and Maudie Whitehead Hitson. Ruth was a former member of the Walkertown Civic Club. She was a faithful member of Loves United Methodist Church and enjoyed her time working with the daycare there. In recent years, she attended Davis Chapel Church where her grandson, Samuel Bowman is the pastor. Ruth loved gardening, canning, and cooking. She was a loving wife, mother, grandmother, and great grandmother who will be greatly missed. In addition to her parents, she was proceeded in death by her daughter, Susan “Susie” Lynn Lane; son Jacob Thomas “Tom” Lane, Jr.; grandson, Jason Roderick Birchfield; and six brothers, Howard, William, Keith, Alfred, Eugene, and Raymond Hitson. She is survived by her loving husband of 64 years, JT Lane, Sr.; four daughters, Elizabeth Ruth Browning (Rex), Cynthia Dian Birchfield Lane, Emily Bowman, and Katie Sparks; nine grandchildren, Travis Birchfield, Tommy Sparks (Jennifer), Timmy Browning, Rachel Browning, Samuel Bowman (Casey), Sarah Jo Davis (Ron), and Jacob Bowman; nine great grandchildren, Jackson Halsey, Alyssa Sparks, Jeremiah Davis, Reagan Davis, Tucker Bowman, Tate Bowman, Paityn Brown, Paxton Browning, and Charleigh Jo Conley; and many nieces and nephews. A memorial service for Ruth will be held at 6:00 pm on Tuesday, February 12, 2019 at Hayworth-Miller Kernersville Chapel with Pastor Samuel Bowman officiating. In lieu of flowers, memorials may be made to The King’s Promise Ministries at Davis Chapel at 1293 Davis Chapel Rd, Walnut Cove, NC 27252, Joan and Howard Woltz Hospice Home at 945 Zephyr Rd, Dobson, NC 27017; or Mountain Valley Hospice at 401 Technology Lane Suite 200 Mount Airy, NC 27030. Online condolences may be made at www.hayworth-miller.com.